G.R. No. 60077 January 18, 1991 - NATIONAL POWER CORP. v. MISERICORDIA GUTIERREZ, ET AL. G.R. No. 67702 January 18, 1991 - PEOPLE OF THE PHIL. v. ANTONIO PERALTA, ET AL. G.R. No. 72876 January 18, 1991 - FLORENCIO IGNAO v. INTERMEDIATE APPELLATE COURT, ET AL. G.R. No. 76232 January 18, 1991 - VILL TRANSPORT SERVICE, INC. v. COURT OF APPEALS, ET AL. G.R. No. 78038 January 18, 1991 - BENJAMIN VENTURINA v. SANDIGANBAYAN, ET AL. G.R. No. 78109 January 18, 1991 - SOLOMON ROLLOQUE, ET AL. v. COURT OF APPEALS, ET AL. G.R. No. 88883 January 18, 1991 - ATOK-BIG WEDGE MINING COMPANY, INC. v. COURT OF APPEALS, ET AL. G.R. No. 95346 January 18, 1991 - PERFECTO V. GALIDO v. COMMISSION ON ELECTIONS, ET AL. G.R. No. 35266 January 21, 1991 - COMMISSIONER OF INTERNAL REVENUE v. LIANGA BAY LOGGING CO., INC., ET AL. G.R. No. 74833 January 21, 1991 - THOMAS C. CHEESMAN v. INTERMEDIATE APPELLATE COURT, ET AL. G.R. No. 75787 January 21, 1991 - SOCIEDAD EUROPEA DE FINANCIACION, ET AL. v. COURT OF APPEALS, ET AL. G.R. No. 76235 January 21, 1991 - PROCERFINA OLBINAR v. COURT OF APPEALS, ET AL. G.R. No. 88017 January 21, 1991 - PEOPLE OF THE PHIL. v. LO HO WING, ET AL. G.R. Nos. 90660-61 January 21, 1991 - UTE PATEROK v. BUREAU OF CUSTOMS, ET AL. G.R. No. 94167 January 21, 1991 - MABUHAY SHIPPING SERVICES, INC., ET AL. v. NATIONAL LABOR RELATIONS COMM., ET AL. G.R. No. 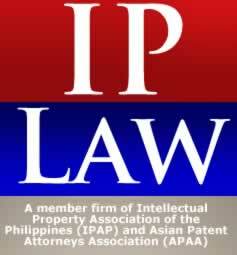 94759 January 21, 1991 - TECHNOLOGY DEVELOPERS, INC. v. COURT OF APPEALS, ET AL. G.R. No. 72994 January 23, 1991 - FELICISIMO ROCABERTE v. PEOPLE OF THE PHIL., ET AL. G.R. No. 78771 January 23, 1991 - CONSOLIDATED BANK AND TRUST CORPORATION, ET AL. v. COURT OF APPEALS, ET AL. G.R. No. 83251 January 23, 1991 - RENATO B. SUAREZ v. COURT OF APPEALS, ET AL. G.R. No. 86597 January 23, 1991 - BONIFACIO CO, ET AL. v. COURT OF APPEALS, ET AL. G.R. No. 88044 January 23, 1991 - PEOPLE OF THE PHIL. v. MARTIN CAGADAS, JR., ET AL. G.R. No. 88210 January 23, 1991 - PHILIPPINE AIRLINES, INC. v. SEC. OF LABOR AND EMPLOYMENT, ET AL. G.R. Nos. 90507-10 January 23, 1991 - MAXIMO B. DALOG, ET AL. v. COMMISSION ON ELECTIONS, ET AL. G.R. No. 79762 January 24, 1991 - FORTUNE CEMENT CORP. v. NATIONAL LABOR RELATIONS COMM., ET AL. G.R. No. 91307 January 24, 1991 - SINGER SEWING MACHINE CO. v. FRANKLIN M. DRILON, ET AL. G.R. No. 91391 January 24, 1991 - FRANCISCO I. CHAVEZ v. SANDIGANBAYAN, ET AL. G.R. No. 91958 January 24, 1991 - WILFREDO D. LICUDAN, ET AL. v. COURT OF APPEALS, ET AL. G.R. No. 92355 January 24, 1991 - PEOPLE OF THE PHIL. v. PEDRING CALIXTRO, ET AL. G.R. Nos. 94459-60 January 24, 1991 - GUILLERMO R. SANCHEZ, ET AL. v. COMMISSION ON ELECTIONS, ET AL. G.R. Nos. 34267-68 January 25, 1991 - BIAK-NA-BATO MINING COMPANY v. ARTURO R. TANCO, JR., ET AL. G.R. No. 80511 January 25, 1991 - COSTABELLA CORP. v. COURT OF APPEALS, ET AL. G.R. No. 84719 January 25, 1991 - YONG CHAN KIM v. PEOPLE OF THE PHIL., ET AL. G.R. Nos. 86917-18 January 25, 1991 - RELIANCE SURETY & INS. CO., INC. v. NATIONAL LABOR RELATIONS COMM., ET AL. G.R. No. 89393 January 25, 1991 - JOHNNY DEMAISIP v. COURT OF APPEALS, ET AL. G.R. Nos. 76828-32 January 28, 1991 - SIXTO L. OROSA, JR., ET AL. v. COURT OF APPEALS, ET AL. G.R. No. 78603 January 23, 1991 - PHIL. NATIONAL CONST. CORP. v. NATIONAL LABOR RELATIONS COMMISSION, ET AL. G.R. No. 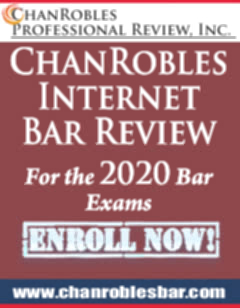 78693 January 28, 1991 - ZOSIMO CIELO v. NATIONAL LABOR RELATIONS COMMISSION, ET AL. G.R. No. 80962 January 28, 1991 - MARINA PORT SERVICES, INC. v. NATIONAL LABOR RELATIONS COMMISSION, ET AL. G.R. No. 81404 January 28, 1991 - PEOPLE OF THE PHIL. v. ISRAEL CARMINA, ET AL. G.R. No. 82475 January 28, 1991 - FRANCISCA GUTIERREZ, ET AL. v. COURT OF APPEALS, ET AL. G.R. No. 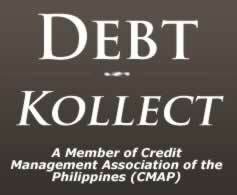 84526 January 28, 1991 - PHILIPPINE COMMERCIAL & INDUSTRIAL BANK, ET AL. v. COURT OF APPEALS, ET AL. G.R. Nos. 90232-33 January 28, 1991 - KEIHIN NARASAKI CORP., ET AL. v. CRYSTAL NAVIGATION, S.A., ET AL.